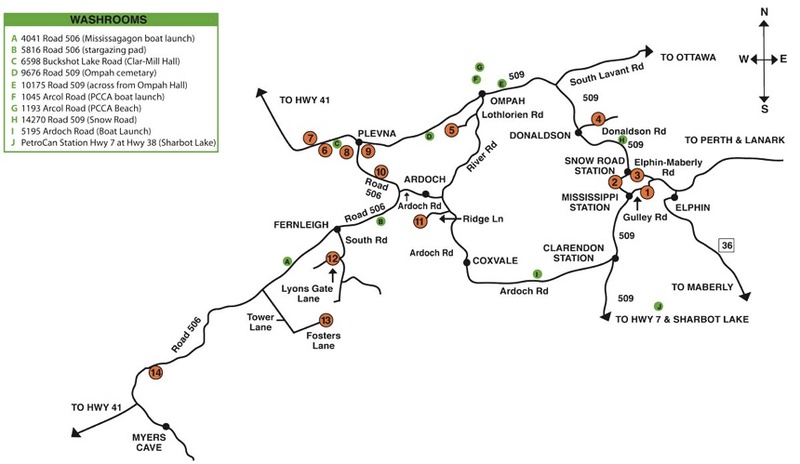 Ottawa to Plevna is 131 km, approx. 1 hr 50 mins by car. 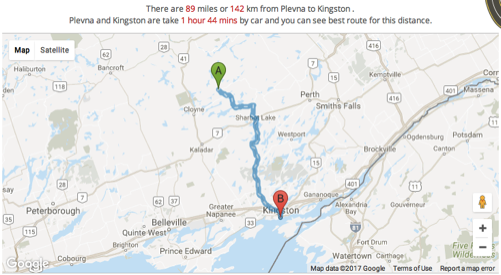 Kingston to Plevna is 142 km, approx. 1 hr 44 mins by car. 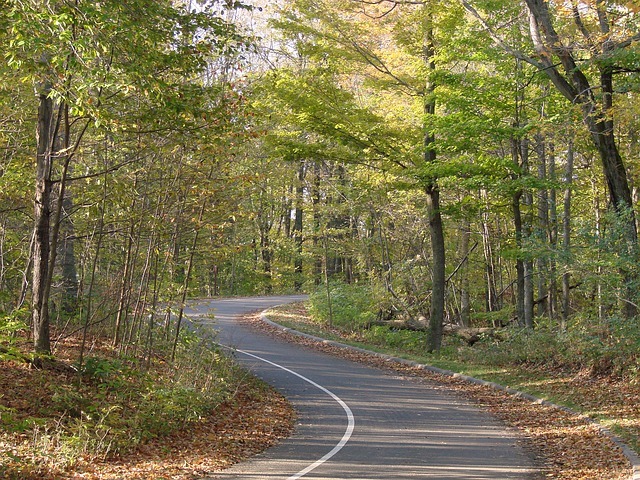 Toronto to Plevna is 301 km, approx. 3 hrs 28 mins by car.